Burst or leaking pipes? Call our 24/7 urgent plumbers servicing Doncaster and surrounds. If it’s leaking, we can fix it! Leaking water pipes can be wasteful and have the potential to cause extensive damage to your property or home. With 18 years of plumbing experience, H2-Pro knows the fastest and most cost effective plumbing pipe services to rectify these inconvenient problems. Our team is ready to help! Do you have leaking pipes? At H2-Pro, we find that most customers find out they have a water leak when they receive an excessive water bill and are informed by the water authority that they may have a leak somewhere. Before calling a plumber there are a few obvious things you can do to find leaking pipes! Turn off all taps and check if the water meter is rotating. If it is, you most likely have a leak. Consider if any of your taps are leaking constantly dribbling. Check if your toilet cisterns are running. Is there any water running into the bowl? Sometimes this can be so subtle that you can only see the water slightly shimmering at the bottom. Check your hot water service for a constant leaking PTR Valve or overflow. Isolate any irrigation systems you may have then check to see if your water meter stops rotating. Check for any damp or muddy patches around your property. Depending on your level of confidence, you could attempt to dig up a patch to see if a leaking pipe is present. If you smell gas, call H2-Pro right away! Leaking gas pipes can be costly, but above all, they are extremely dangerous! We take the necessary steps to locate the leak, repair and test your gas service to ensure your family and home are no longer at risk. It is piece of mind to get your gas service tested and repaired if need be. It is not worth compromising you and your family’s safety if you think you have a problem. If you have water in the cabinet below your sink or basin it can sometimes be caused by a leaking waste drain or pipe. This can be caused by perished seals in your P-trap or S-bend, a leaking plug and washer, or a failed join on a fitting or pipe. Sometimes these leaks can simply be fixed by tightening the trap nuts or you may have to replace the seals. Failed glue joins will have to be removed and re-glued or replaced. Leaking underground drains are generally caused by damage from tree roots or ground movement causing the pipe to break or crack. In these cases we can locate the problem area with a CCTV Drain Camera and Locator. From this information, we then devise the best way to rectify the problem. In most cases, we can dig up the drain and replace the damaged section with PVC pipe. However, if the drain is in a difficult or awkward position, we can repair the drain from the inside with a liner. Pipe relining is often a simpler and faster alternative should digging up a drain become problematic. Relining strengthens and seals a drain, restoring it to its former glory! Burst pipe? You need a rapid response! The pressure in a pipe can build up to the point that it eventually bursts, and when this happens, a lot of water can cause a ton of damage in a short amount of time. 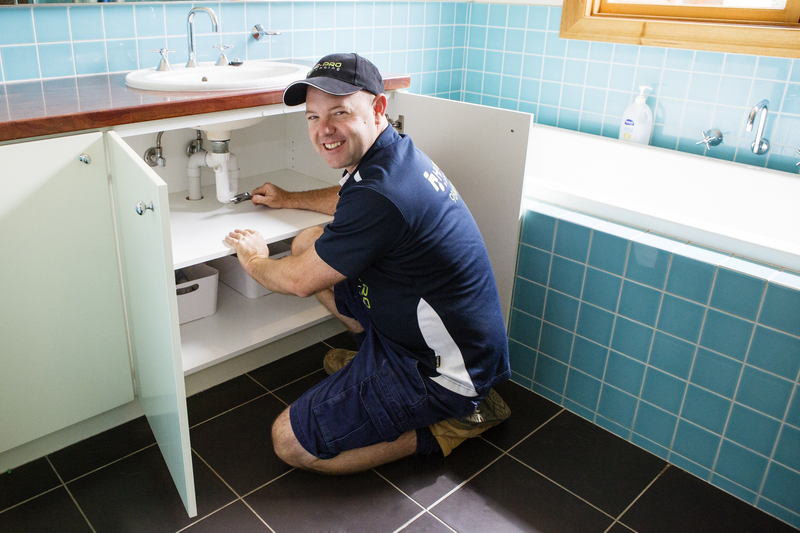 If you’re in need of an emergency plumber in Warrandyte, Croydon, Wonga Park, Lilydale, or surrounds, call H2-Pro immediately. Do you need an emergency plumber? Find out more about our emergency services here.